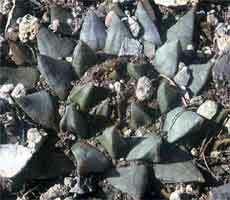 Ariocarpus retusus LRM175, in Tamaulipas, the tubercle edges are raised and there is no apical areole. 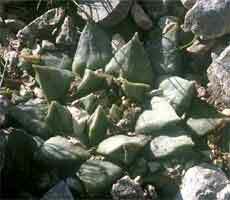 Ariocarpus retusus LRM175, a plant reminiscent of A. trigonus in form. 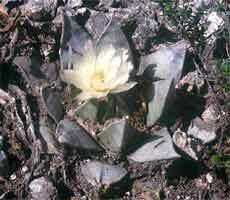 Ariocarpus retusus LRM175, a plant of typical retusus type but lacking the apical areole.